Advertising for lawyers, particularly law firms providing services to individuals, is usually direct response advertising which presents different advertising issues than those seen in traditional TV brand advertising. A recent TV commercial for Lexus focuses on its rotating headlight which rotates 15 degrees in either direction, left or right, following direction of the steering wheel. This could have been a great commercial except one key ingredient is missing. This is a brand commercial which mentions only the headlight and has forgotten the importance of branding Lexus’ image of luxury. The Lexus web site states “No matter where you travel, take your luxury accommodations with you.” Luxury is the image Lexis has chosen for its brand. The image must be accomplished in every portrayal of the brand. In pure brand commercials such as for Lexus, a commercial can highlight an important feature, however, the feature should tie into one single overall branding scheme. In the Lexus TV commercial, the advanced headlight system should be portrayed as the newest feature in luxury accommodations. This consistent branding scheme establishes Lexis as the leader in automobile luxury. Law firms practicing in divorce, bankruptcy, criminal law, and personal injury do not provide services that can be purchased in a retail store, such as an automobile or a box of cereal. Consequently, these law firms need direct response advertising rather than advertising purely for branding purposes. In other words, these law firms need advertising which produces a direct response where the targeted audience views the TV commercial causing members of the target audience to respond directly by calling the advertiser. Branding built into direct response advertising will substantially increase advertising effectiveness when people remember how to call the advertiser, both one minute after as well as weeks after they have seen the commercial. When done correctly, branding can be built into a direct response advertising campaign, however, this is where many law firms make their mistake. Due to self pride, most law firms spend most of the few valuable seconds of a TV commercial focusing on two points, one being the law firm name and the second being attributes of the law firm. Instead of branding the law firm name, the law firm’s vanity phone number should be the focus of branding. 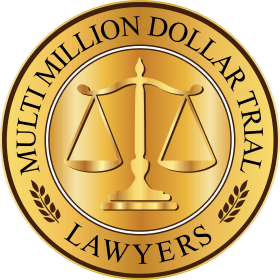 Jacoby & Meyers®, a national law firm franchise, which offers services to individuals in direct response advertising, has probably become the most successful brand in law firm advertising. Their focus of branding is the law firm name “Jacoby & Meyers”, but can you remember how to call them? Branding a vanity phone number like 1-800-HURT-911® allows the target audience to remember how to reach you. In fact, 1-800-HURT-911 has shown that branding the vanity phone number can produce branding results in as quickly as three months. A large case was signed up after only three months of advertising in New York, when a US mail delivery worker told someone, he was delivering mail to, about a commercial he had seen for 1-800-HURT-911. Whether branding a name or a telephone number, your brand should have what is known as USP or a Unique Selling Proposition. In other words, does it tell a story? Slogans can also be used to enhance memory of a brand by further telling the story. In the example about Lexus, the USP for the Lexus brand is luxury. 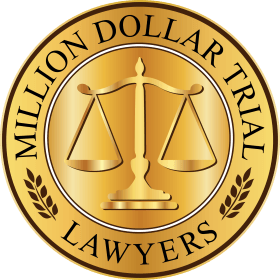 Their web site shows the slogan “No matter where you travel, take your luxury accommodations with you.” When advertising for lawyers, the USP should be designed around the vanity phone number. 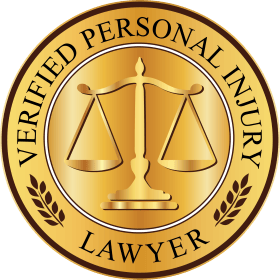 For personal injury lawyer advertising, 1-800-HURT-911® tells a story. It says if you’re hurt in an accident, you can get legal help fast. The slogan “When you’re HURT in an accident, call 911, then call 1-800-HURT-911” ™ enhances the USP. The second commonly made mistake is that advertising for lawyers should focus on the needs of the target audience instead of focusing on the attributes of the lawyer or law firm. 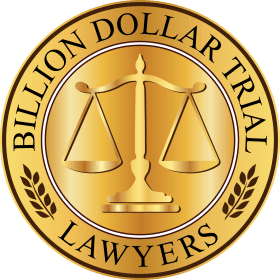 Does the target audience need an easy way to contact a lawyer, a toll-free number, a lawyer they can call for immediate help, a lawyer that will come to visit them, etc.? This article was written by Philip Franckel, President of 1-800-HURT-911, Inc. 1-800-HURT-911® is a brand with a built-in message saying if you’re hurt an accident, you need legal help fast. The slogan “When you’re HURT in an accident call 911, then call 1-800-HURT-911,”™ reinforces that message. 1-800-HURT-911 gives you market exclusivity for your entire TV broadcast market and total control over your advertising budget. For a LIMITED TIME, we are offering license FREE use of 1-800-HURT-911 TV commercials for as long as you continue to advertise. 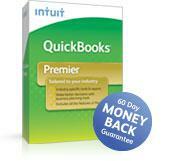 This can save you as much as $10,000 or more per year, forever. Our web site will provide you with calls at no extra charge. 1800HURT911.com receives tens of thousands of visitors each month, matches the telephone number, is professional looking and helps build a substantial image in the consumer’s mind because the website has hundreds of pages with an extraordinary amount of free research without a hard sell. If you would like information about advertising with 1-800-HURT-911 or 1-800-USLAW-911 see Advertising with 1-800-HURT-911 or send Philip Franckel an email.